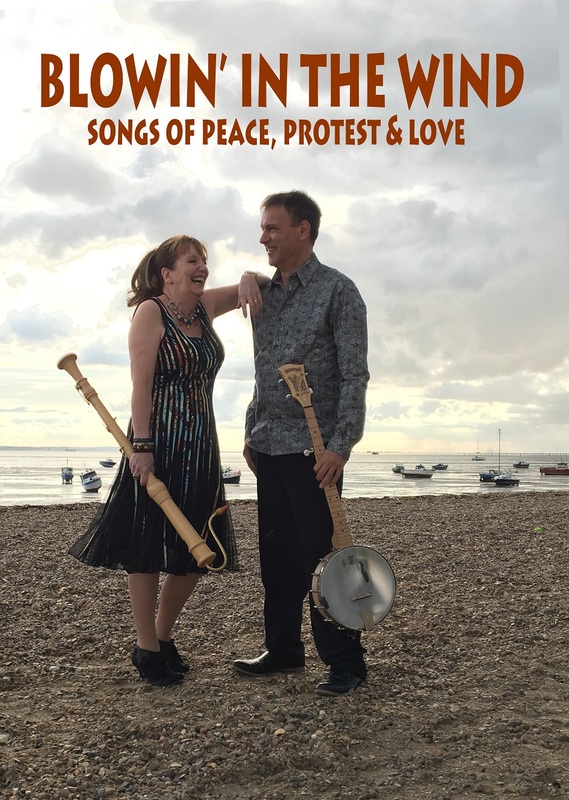 Join us as we take you back to the era of PEACE, PROTEST & LOVE with uniquely arranged classic songs such as "Mr Tambourine Man", "Imagine", "The Night They Drove Ol’ Dixie Down", "Big Yellow Taxi", "The Sound of Silence", "All you need is Love" and many more. Andante Live presents “Blowin’ in the Wind”. Combining the vocal harmonies of Vee Sweeney and Mark Rowson, 16 instruments between them and outstanding musicianship, they perform an uplifting and inspiring show to give you a fabulous evening of unforgettable music. When Dylan, Baez and friends sang their songs of peace, protest & love, "times certainly were a- changin’..."
For more information and to see promo videos, please visit our website www.andantelive.com.